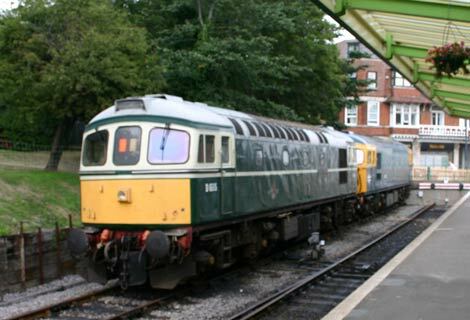 A pair of Class 33 diesels, 33108 and D6515, stabled in Swanage station. 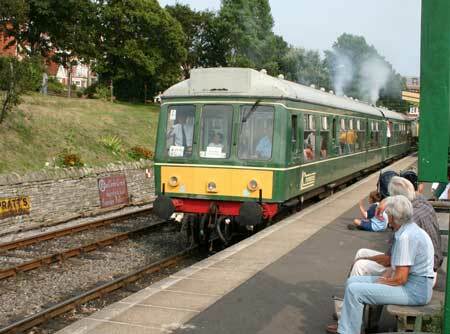 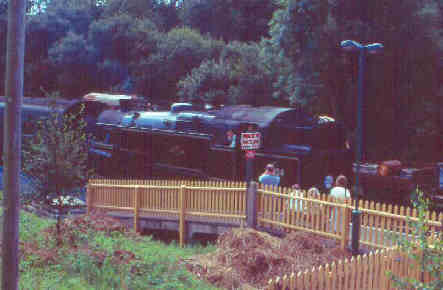 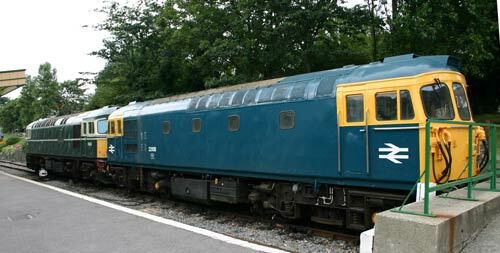 This class had a long association with this area and they are ideal diesels for many heritage railways. 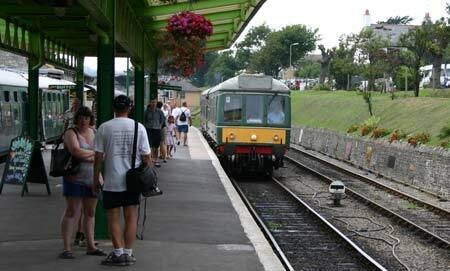 When I visited half the services were being operated by this DMU, seen arriving at and departing from Swanage, the others were being worked by the West Somerset Railway's 0-6-0PT 6412 which was at Swanage for the summer, however a thunderstorm thwarted me for photographing her. 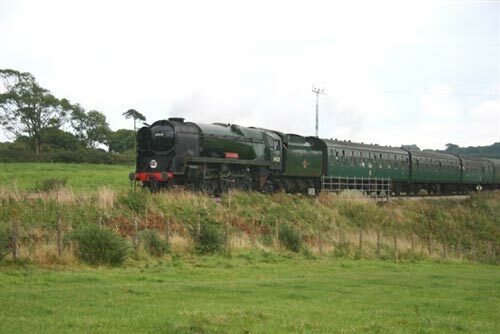 A friend was more fortunate with the weather, Steve Marshall sent me this one of West Country pacific 34028 Eddystone out on the line. 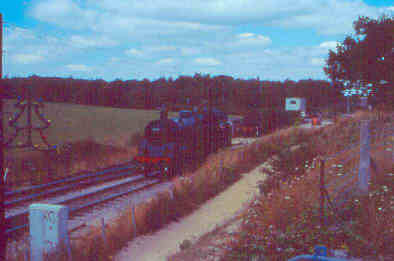 Apart from that these three views of BR Standard 4MT 2-6-4T number 80104 by Stéphanie Dinez are the only ones I have of steam on the Swanage Railway, but I'll be going back there before too long I hope.